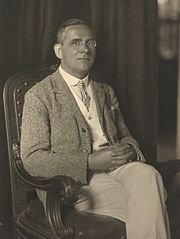 Moritz Schlick (April 14, 1882 – June 22, 1936) was a German philosopher and the founding father of the Vienna Circle; he was also one of the most important figures in logical positivism. As the founder and leader of the Vienna Circle—arguably the most important and influential philosophy study and discussion group in the history of Western philosophy after Plato's Academy—Schlick occupies a position of importance in the history of Western philosophy that is considerably greater than he would otherwise have held based simply on his philosophical work alone, which was nevertheless of considerable importance in its own right. Schlick was born in Berlin to a wealthy family. On his mother’s side he was a descendant of Ernst Moritz Arndt, a German patriot who had led the war of liberation against Napoleon. Schlick studied physics at Heidelberg and Lausanne, and, then, at age 18, entered the University of Berlin to study physics under Max Planck. In 1904, he completed his dissertation essay, Über die Reflexion des Lichts in einer inhomogenen Schicht ("On the Reflection of Light in a Non-Homogeneous Medium") and received his doctorate. In 1908, he published Lebensweisheit ("The Wisdom of Life"), a slim volume about eudaemonism, the theory that happiness is the highest ethical pursuit. His habilitation essay, Das Wesen der Wahrheit nach der modernen Logik ("The Nature of Truth According to Modern Logic"), was published in 1910. Several essays about aesthetics followed, whereupon Schlick turned his attention to problems of epistemology, the philosophy of science, and more general questions about science. In this last category, Schlick distinguished himself by publishing a paper in 1915 about Albert Einstein's special theory of relativity, a topic then only ten years old. He also published Raum und Zeit in der gegenwärtigen Physik ("Space and Time in Modern Physics"), a more systematic treatment of post-Newtonian physics. From 1911 to 1917 Schlick was a lecturer and associate professor at the University of Rostock, and in 1921 he was named to a professorship at the University of Kiel. The year 1922 marked what was arguably the most important turning point in Western philosophy. In that year Schlick became a professor in the philosophy of inductive sciences at the University of Vienna. In the same year two events occurred that shaped the remainder of Schlick's life as well as much of Western philosophy for the remainder of the twentieth century. First, a group of philosophers and scientists (including but not limited to Rudolf Carnap, Herbert Feigl, Kurt Gödel, Hans Hahn, Otto Neurath, and Friedrich Waismann) suggested to Schlick that they conduct regular meetings to discuss science and philosophy. They initially called themselves the Ernst Mach Association, but forever after they have been known as the Vienna Circle. The second great event of 1922 was the publication of Ludwig Wittgenstein's Tractatus Logico-Philosophicus, a work of terse, lapidary brilliance that advanced, among other things, a logical theory of symbolism and a "picture theory" of language. Schlick and his group were overwhelmed by the work; they made it a topic for discussion at nearly every meeting. Schlick himself contacted Wittgenstein in 1924 and extolled the virtues of Wittgenstein's book vis-à-vis his immediate circle. Eventually Wittgenstein agreed to meet with Schlick and Waismann to discuss the Tractatus and other ideas. Through Schlick's influence, Wittgenstein was encouraged to consider a return to philosophy after some ten years of idleness. It is partly to Schlick's credit that Wittgenstein began to pen the reflections that ultimately would make up large parts of Philosophical Investigations. Schlick's and Waismann's discussions with Wittgenstein continued until the latter felt that germinal ideas had been used without permission in an essay by Carnap. Wittgenstein continued discussions in letters to Schlick, but his formal association with the Vienna Circle ended in 1932. The Vienna Circle itself included or attracted a substantial number of the greatest and most innovative philosophers throughout the Western world, and also some scientists, mathematicians, psychologists and sociologists. They formed a genuine symposium in the classical sense. Scholars from Germany, Poland, England, Norway, Sweden, and the United States visited these meetings and took part in the discussions. The Vienna Circle’s discussions included conflicting views, but the application of rigorous logic—hence the term “logic” in “logical positivism” or “logical empiricism”—was central to the work. The members and attendees published a plethora of writings in which they applied the methods of the Vienna Circle to their own work. Thus it is fair to say that the Vienna Circle—whose work and continued existence is largely attributable to Schlick’s efforts—became the central and most influential movement in Western philosophy from its founding until long after its actual dissolution. 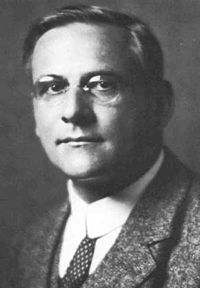 Schlick had worked on his Allgemeine Erkenntnislehre (General Theory of Knowledge) between 1918 and 1925, and, though later developments in his philosophy were to make various of his epistemological contentions untenable, the General Theory is perhaps his greatest work in its acute reasoning against synthetic a priori knowledge. Between 1926 and 1930, Schlick labored to finish Fragen der Ethik (Problems of Ethics), in which he surprised some of his fellow Circlists by including ethics as a viable branch of philosophy. Also during this time, the Vienna Circle published The Scientific View of the World: The Vienna Circle as an homage to Schlick. Its strong anti-metaphysical stance crystallized the viewpoint of the group. With the rise of the Nazism in Germany and Austria, many of the Vienna Circle's members left for America and the United Kingdom. Schlick, however, stayed on at the University of Vienna where he taught from 1922 until his death in 1936. When visited by Herbert Feigl in 1935, he expressed dismay at events in Germany. On June 22, 1936, Schlick was ascending the steps of the University of Vienna for a class when he was confronted by a former student, Johann Nelböck, who drew a pistol and shot him in the chest. Schlick died very soon afterward. Nelböck was tried and sentenced, but he became a cause célèbre for the growing anti-Jewish sentiments in the city. The reasons for Nelböck's action remain unclear. He had already twice been committed to a psychiatric ward for threatening Schlick. Numerous reports claim that Schlick had slept with Nelböck's wife, but those reports may or may not be accurate. There are also reports that Schlick had given him a failing grade in a class or other academic endeavor. Although a German Protestant from minor Prussian nobility, Schlick was characterized in the press as a central figure in disaffected Jewish circles, and the murder was applauded by Vienna's Nazis and became a cause célèbre. A large part of Nelböck's defense during his trial for Schlick's murder—besides some claims that he had suffered some personal injuries from Schlick—was the claim that Schlick's philosophical arguments had undermined his native moral restraints. The Austrian Nazis exploited and built up that argument by asserting Schlick's Jewish connections within the Vienna Circle. Nelböck was found guilty and sentenced to ten years' imprisonment, but was paroled after only two years and joined the Austrian Nazi Party after the Anschluss in 1938. Within two years of the death of Schlick, the meetings of the Vienna Circle came to an end. The Austrian Ministry of Education embarked on a reactionary policy that barred all people who held to a scientific analytic philosophy from holding official chairs at any Austrian university. Most of the members of the Vienna Circle fled to England or America. The kind of philosophy championed by the Vienna Circle found a lot of sympathy in America, England, Poland, and Scandinavia, but it was squashed by the authorities in Austria, and after World War II all the chairs in philosophy in Austrian universities were given over only to philosophers who held to a speculative philosophy with a theological bent. In his early work, Schlick attacked the notion of a synthetic a priori as it had been championed by Immanuel Kant. Instead, Schlick followed the work of Henri Poincaré and Hermann von Helmholtz and took up the changes in science and philosophy that had been brought about by the theory of relativity and its challenges to classical Newtonian physics—a classical physics that Kant had taken to be absolutely true and valid. At first Schlick's critique was confined to mathematics and the natural sciences, but he eventually broadened to include all of human knowledge. Schlick held to what could be called critical realism, meaning that epistemology is not obliged to look for absolutely true knowledge, but only for what will stand up to critical tests. Truths about propositions about objective empirical reality can be established only hypothetically, but the falsity of such propositions can be demonstrated beyond question through falsifying instances. In this he anticipated Karl Popper's falsificationism. In his account of language, Schlick held that the purpose of the language(s) used in the sciences is to make possible constructions of unambiguous expressions that can be true or false. Metaphysics, he held, is language put together in such a way as to violate the logical rules of language. Consequently statements of metaphysics cannot be either true or false. Before his Vienna years, Schlick had held that the task of philosophy was acquiring knowledge. But after 1922, under the influence of Ludwig Wittgenstein and Rudolf Carnap, he came to the view that the task of philosophy was to apply logical analysis to the concepts, propositions, and methods of the sciences. Some problems, he held, are "pseudo problems," the conflict between realism and idealism being one of those. In his philosophical method Schlick held that the first step was to ascertain the logical and linguistic rules governing the use of the language that occurs in the expressions of the problem or form of speech being studied. The second step is to study what meanings are to be ascribed to those expressions; the clarification of the meanings of an expression must come before its interpretation. Schlick applied this method to ethics too, concluding that a priori arguments for absolute values are meaningless because they do not satisfy the necessary logical criteria. Moreover, he held, against Kant and Kantianism, that no ethical worth can be given to actions done under a sense of duty if the result of those actions is to cause unhappiness. Moral worth, he held, can be ascribed only to vital actions. Schlick, Moritz. Gesammelt Aufsätze, 1926-1936. Hildesheim: G. Olms, 1969. Schlick, Moritz. Philosophy of Nature. Translated by Amethe von Zeppelin. New York: Philosophical Library, 1949. Schlick, Moritz. Problems of Ethics. Translated and introd. by David Rynin. New York: Dover Publications, 1962. Schlick, Moritz. Space and Time in Contemporary Physics: An Introduction to the Theory of Relativity and Gravitation. Translated by Henry L. Brose. New York: Oxford University Press, 1920. Schlick, Moritz. "Gibt es ein materiales Apriori?" Wissenschaftlicher Jahresbericht der philosophischen Gesellschaft an der Universität zu Wein für das Vereinsjahr 1930/31. Trans. by Wilfrid Sellars as "Is There a Factual A Priori?" in Herbert Feigel and Wilfrid Sellars, eds., Readings in Philosophical Analysis, New York: Appleton-Century-Crofts, 1949. Schlick, Moritz. "Philosophie und Naturwissenschaft." Erkenntnis 4 (1934): 379-396. Schlick, Moritz. "Uber der Fundament der Erkenntnis." Erkenntnis 4, (1934): 79-99. Feigl, Herbert. "Moritz Schlick." Erkenntnis 7: 393-419. Juhos, Béla. "Schlick, Moritz." Trans. by Albert E. Blumberg. In The Encyclopedia of Philosophy, edited by Paul Edwards, vol. 7, pp. 319-324. New York: Macmillian, Inc., 1967. Reichenbach, Hans. "Moritz Schlick." Erkenntnis 6 (1936): 141-142. Rynin, David. "Remarks on M. Schlick's Essay 'Positivism and Realism." Synthese 1 (1948/1949). This page was last modified on 20 October 2018, at 16:48.